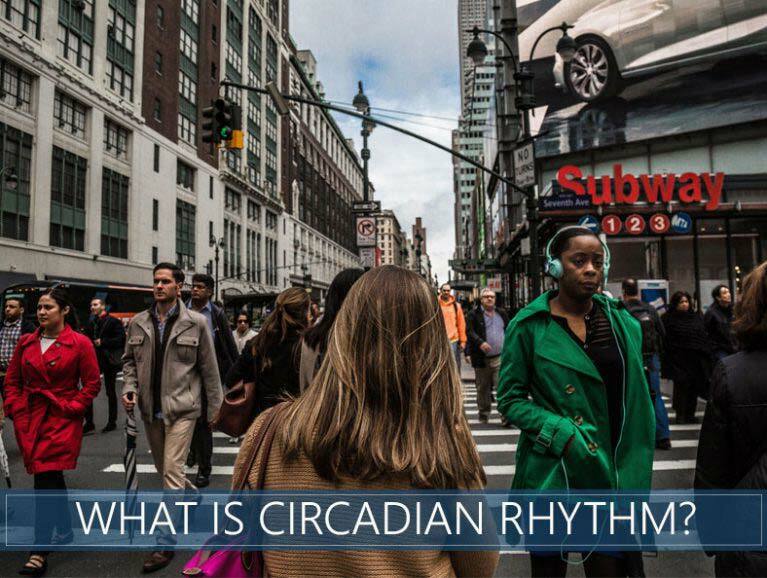 Home » Healthy Sleep » What Is The Definition Of Circadian Rhythm (Body Clock)? Circadian is a strange word, isn’t it? Have you ever wondered where it came from? It’s a Latin term combining “circa,” which means around, and “diem,” meaning day. That’s why we typically hear of circadian rhythms being daily in nature. So enough with the vocabulary lesson, already. Instead, let’s talk about all the ways our body innately tracks time, how that affects our health, and what we can do if we’re thrown off of our natural cycle. What is a Biological Clock? Circadian rhythm refers to the biological tendency to operate in 24-hour cycles of sleeping and waking. It’s also referred to as a biological or internal clock, even though they’re not quite the same thing (we’ll discuss that in a moment). Our body’s circadian rhythm cues us when it’s time to go to sleep and time to wake up. Depending on our age and lifestyle habits, our natural rhythm may change, but typically we see consistent energy peaks and valleys, with our lowest energy levels occurring between 2:00 am and 4:00 am. We also tend to feel a dip in the afternoon, usually between 1:00 pm and 3:00 pm, which is why some cultures take siestas (naps) after lunch. Lightness and darkness affect circadian rhythm, but we’ll still cycle through these 24-hour periods even without visual cues. It’s interesting to note that circadian cycles are not unique to humans, or even mammals. They’re also present in other animals, fungi, and bacteria. Our biological clock is what sets the circadian rhythm. So, you can think of the circadian rhythm as just one of the schedules that it’s tracking. In addition to daily cycles, biological clocks also control other cycles, such as those at occur seasonally and yearly. You’ve heard about a woman’s biological clock ticking when she’s in the midst of childbearing years. This clock is signaling a woman that time is “running out,” and it may influence her thoughts and behaviors. Biological clocks are also responsible for mid-life crises, and now the millennial quarter-life crisis, which causes people to question their entire existence. Those in middle age tend to get convertibles and make questionable life choices, while their quarter-life counterparts might spontaneously quit their jobs to travel the world. The master clock is what controls all of your body’s biological clocks. It’s made up of 20,000 nerve cells that form a structure called the suprachiasmatic nucleus (SCN). The master clock syncs up all internal clocks. It’s located in the hypothalamus, a part of the brain that controls many of our biological functions, including body temperature, thirst, and hunger. It receives information from our eyes, so artificially adjusting cycles of light and dark can affect the master clock. If your circadian rhythm is off and is running either too fast or too slowly, it can cause a variety of health issues. The most obvious and immediate problem is a sleep disorder, but an out-of-sync clock is also linked to obesity, depression, diabetes, and seasonal affective disorder (SAD). When your internal clock is off, the result is irregular sleep cycles or sleep-wake phases, which we’ll outline in more detail below. A delayed sleep-wake phase disorder is associated with people who refer to themselves as “night owls.” Instead of a 24-hour routine, their cycle is delayed by about two hours. The result is that instead of feeling sleepy at 10 o’clock at night, they might not get drowsy until midnight. This can be troublesome for students and professionals who need to wake up early to start their workday at 8:00 am. To function, many people with delayed sleep-wake phase have to make do with less sleep during the week, and then they sleep in on the weekends. It’s a perpetual cycle of trying to “catch up” on sleep without success. They say the early bird gets the worm, and those with advanced sleep-wake phase disorder can certainly attest to this. The only problem is that people with an advanced sleep-wake phase disorder get tired early in the evening and they’re often awake and staring at the ceiling before morning. There are some positives to being on this type of schedule. You can accomplish more by breakfast than most people do all day, but if you have a social engagement planned for the evening, you’re likely to feel tired, and your yawning could be mistaken for boredom. If you find yourself on this type of schedule, avoid the temptation to take stimulants at night or sleeping pills at three in the morning. 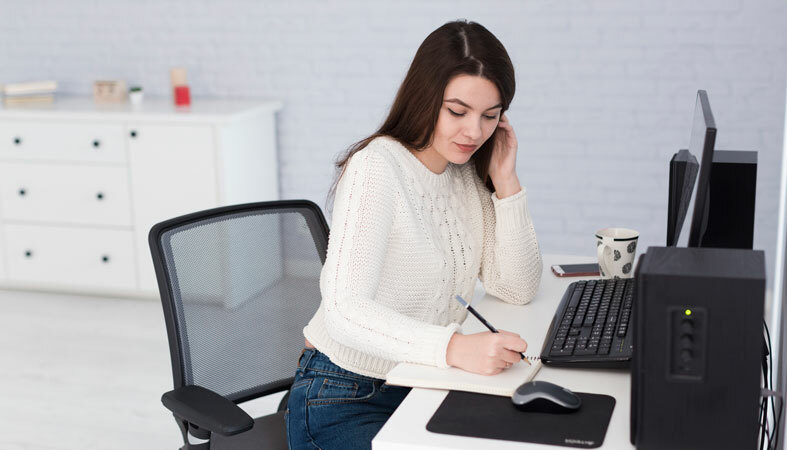 Instead, think of ways you can use this to your advantage, perhaps even exploring a career that caters to this type of schedule like nursing or baking. An irregular sleep-wake rhythm is much harder to adjust to than either a delayed or advanced one. This is because there’s no real pattern to it. Likely, the sufferer has a weak internal clock, and so they get mixed messages from their body about when it’s time to feel drowsy or awake. The result is that the person feels the need to take naps throughout the day, and they’re often tired, no matter how much sleep they get. As you can imagine, this makes work, school, relationships and family life difficult. Any working hours outside of your typical 9 am to 5 pm is considered shift work. It could be something like 11 am to 7 pm, but it’s often characterized as the “graveyard shift,” in which people are at work at or around the hours of 10 pm to 6 am. The health problems reported among shift workers are numerous. By maintaining a schedule of being up in the middle of the night and having to sleep during the day, you are turning your body’s clock on its end and rejecting all of Mother Nature’s cues about when it’s time to be awake and asleep. 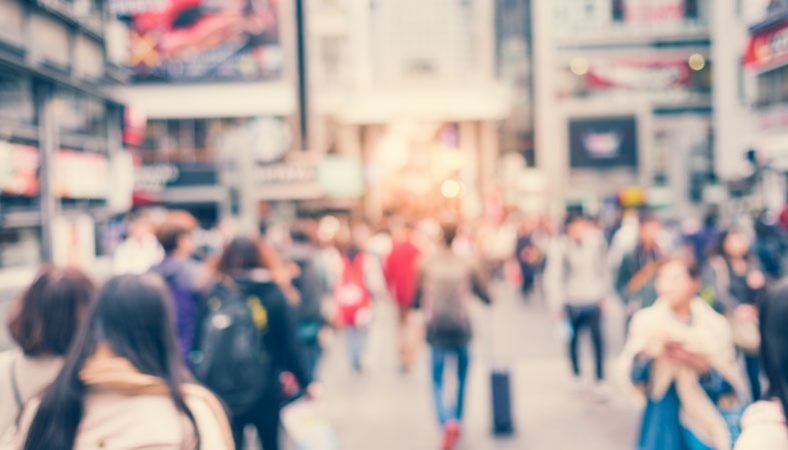 Scientists are actively working on ways to make this less of a detriment to our health, but in the meantime, if you’re forced to live with this type of schedule try your best to make sure that you maintain the same schedule even on your days off. Flying long distances through multiple time zones can wreak havoc on your body’s internal clock. Even a difference of just a couple of hours is enough to throw your schedule completely off. Depending on which direction you’re traveling, you may be extra tired or not tired at all when you arrive at your destination. And when morning comes, you’re either going to be up early or struggling to get up on time. Fortunately, you’ll adjust within a few days to your new schedule. Just in time to fly home and have to get used to your old routine all over again! The easiest way to keep your circadian cycle on track is to follow a consistent plan each day. It’s going to require a commitment, and the best thing to do is plan a schedule you can stick to. For example, you should make an effort to go to bed at the same time each night and wake up at the same time every morning. And yes, this includes weekends, but the occasional lazy Sunday won’t hurt. Just don’t make it a habit. In general, we require seven to nine hours of sleep per night. Figure out what your ideal number is and plan to get that amount each night. If you don’t get enough, you’re more likely to take a nap in the late afternoon or evening, which will throw your schedule completely off. At night, the lights from your phone and television will disrupt melatonin production. Melatonin is the hormone that induces sleep, so if you don’t have enough of it in your system, it’s going to take you longer to fall asleep. We’re not saying to avoid using these devices at night, although ideally, you should turn them off an hour or so before bedtime. We are suggesting, however, that you turn them off in your bedroom when it’s time for bed. 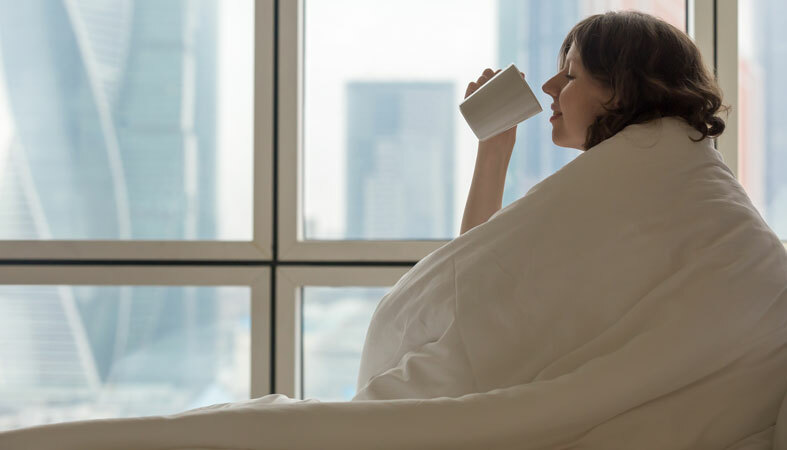 That post-lunch cup of coffee could be messing with your body clock. 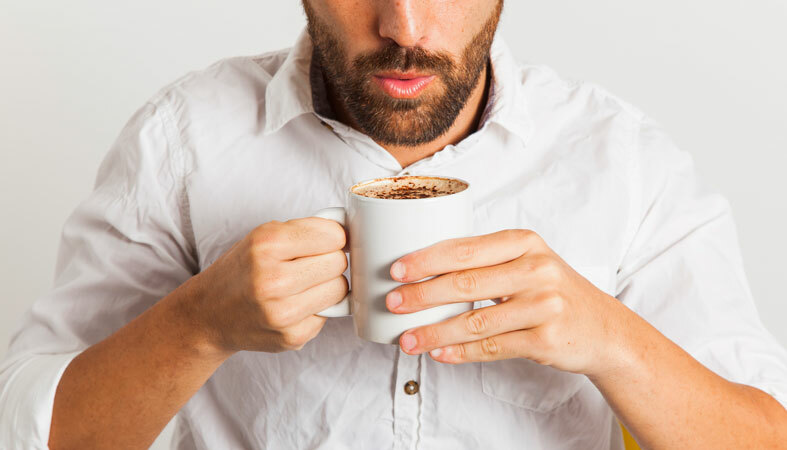 Caffeine can stay in your system up to twelve hours, and although it won’t be as strong as when you take the first sip, you should plan to stop drinking coffee by noon each day. If you really need that almond milk latte to get you through the afternoon, consider decaf. Even though alcohol makes you sleepy, its effects don’t last long. If you drink at night, you’ll feel drowsy earlier, making you more likely to wake up in the middle of the night. Light is the most powerful external trigger to synch our body clock. The combination of sunshine, fresh air, and exercise is a powerful combination to wake you up and energize you for the day ahead. As we mentioned earlier, light disrupts melatonin production. Even turning on the bathroom light in the middle of the night can throw off your circadian rhythm. 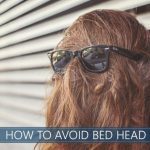 If you live in an area where there are bright street lights or lights from surrounding buildings, make sure you draw your shades closed and resist the urge to turn on any lights if you have to get up in the middle of the night. Does it affect body function and health? Yes, our circadian rhythm is linked to several of our body’s biological functions, not just sleep. It’s also involved in wound healing, hormone production, appetite, and body temperature. Having an out-of-sync circadian rhythm can cause a variety of health issues, including weight gain, diabetes, and depression. Do hormones affect my body clock? Yes, several hormones vary their levels of product at different times of the day to signal your body clock. We already discussed how the hormone, melatonin, increases production at night to signal that it’s time for bed. This hormone is on a production schedule that’s the opposite of cortisol, a stress hormone that is at higher levels during the day. Our body’s clock also signals when it’s time to release growth hormones, which are at their peak during sleep when we’re growing and repairing tissue. There’s even an antidiuretic hormone that prevents us from getting up at night to go to the bathroom. Our body performs countless functions that we don’t even think about it. It controls our heartbeat, breathing, and digestion, all without us consciously intervening. Our circadian rhythm is also one of those functions that we don’t consider, but since we do have control over how well it functions, we should do our best to make sure it’s as close as possible to an ideal 24-hour cycle. What Are Dreams? And Why Do People Have Them?